يشكل فندق شقق ستوديو كارلتون لودج بموقعه الممتاز في منطقة مطاعم, سياحة, تسوق ضمن مدينة ملبورن، مكاناً ملائماً لقضاء العطلة بعيداً عن عجقة أيام العمل. يجذب هذا الفندق ذو 3.5 نجوم، والذي يبعد 1.5 km فقط عن وسط المدينة و 25 km عن المطار، الكثير من الزوار سنوياً. كما يمكن الوصول بسهولة إلى Readings Book Shop, سينما نوفا, Swanston Street. إن شقق ستوديو كارلتون لودج حريص على توفير الراحة للنزلاء، فلا يوفر الموظفون جهداً في تقديم أفضل الخدمات وضمان حسن الاستقبال. يمكن لضيوف الفندق الاستمتاع بالميزات التالية على أرض الفندق: واي فاي مجاني في جميع الغرف, أمن على مدار 24 ساعة, خدمة التنظيف يوميًا, خدمة غسيل ذاتية, خدمة سيارات الأجرة . في الفندق غرف نوم يتجاوز عددها 60، كلها مجهزة بعناية وجمال وبعضها مزود بـ تلفزيون بشاشة مسطحة, غرف لغير المدخنين, مكيف هواء, تدفئة, مكتب. كما أن مجموعة الخدمات الواسعة الموجودة في الفندق لضمان راحتك تترك لك الكثير من الخيارات لقضاء وقتك أثناء فترة إقامتك. مهما كانت دواعي سفرك فإن شقق ستوديو كارلتون لودج هو خيار ممتاز لإقامتك في ملبورن. Always enjoy our stay here. Great locality. Close to city and best of all the restaurants of lygon. But, was disappointed this time with the cleanliness of our room. Food left in a kitchen cupboard, floor in kitchen was dirty and cushion covers need a wash.
Good hotel to stay at but be sure to deadlock your door as we had I presume a cleaner walk into our room unannounced!!! Tried to contact reception but there is no instructions on how to use the phone. In fact no info to use any appliance. However good and clean. Great location for restaurants. The conference was in Rydges Hotel, two blocks away. The city is a five minute walk out the front door and to the left. Trams pass along Swanston street two blocks away straight ahead. 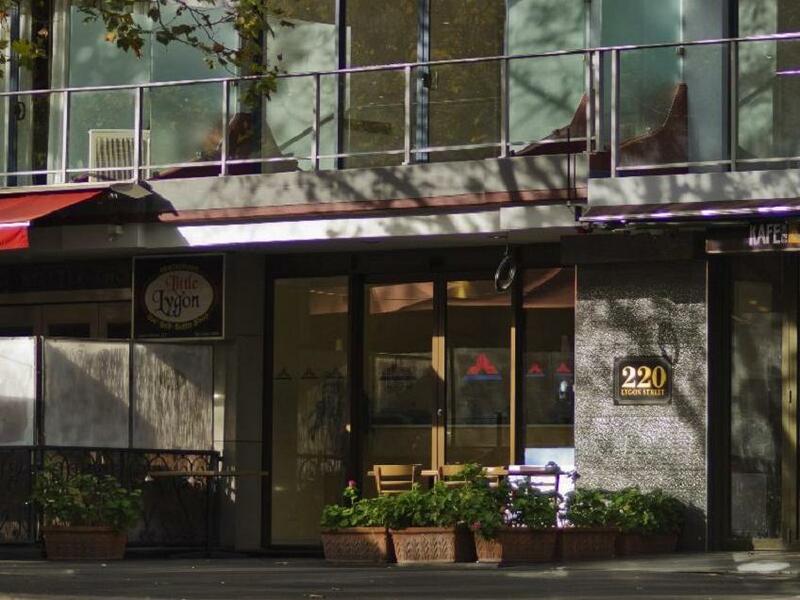 Lodge is at the beginning of the Tourist restaurant area of Lygon Street. The room was a little dated and enclosed with a separate bathroom. Not luxurious but comfortable and convenient - and very good value. Great location for visiting family whilst in Melbourne. Very well priced and includes parking which is very important to us as we drive from the country. Great area for dining and entertainment, and close enough to the Victoria Market for walking. 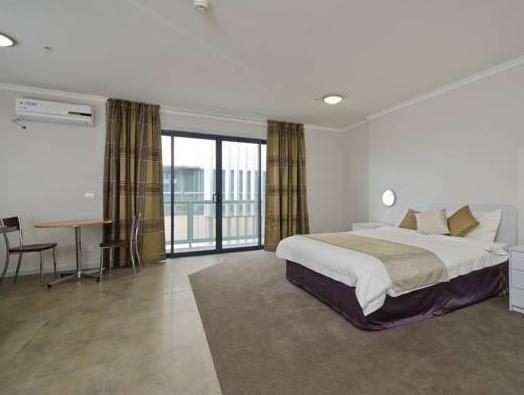 We were very impressed with reception staff when we were given an upgraded room after enquiring about late parking when we returned from collecting our adult son from Tullamarine Airport, after an overseas trip. Location of the hotel was ideal for us, and having Lygon Street outside the door was a bonus. The availability of car parking is important to us as we drive from the country. Another bonus was to be able to leave our car parked whilst we met friends for breakfast. The room was very well presented and more than adequate for our purposes. We would definately stay at the Lygon Lodge again. 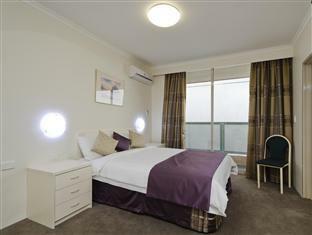 Budget rooms delivering a great accommodation option close to all Melbourne has to offer at a fraction of the cost. Walking distance to everything with the convenience of free car parking. First comes basis but we found staying during week to not be a problem. Rang the front desk when returning to check if park each time. Free wifi a bonus. Limited noise. Incredible team of people running the accommodation who give you a lot of love and make it feel like home. We stayed a week. Rooms are basic with easentials. No addional facilities / amenities except communal laundry area and parking. We used laundry - large top loader and large dryer. Each $6 a load. Laundry powders and softeners provided. Parking as mentioned above. Would stay again when looking for a budget accommodation option. Friendly receptionist, easy check in and out. Had standard room on 3rd floor at back of building, very quiet. Room basic with tiny bathroom. Reasonable size kitchenette. Small balcony but overlooking only rooftops. We only wanted somewhere to sleep as we were out all day and evening so definitely met our needs. Would stay here again if wanting easy access to cafes and restaurants on Lygon Street (right outside the door). The staff were cheerful and helpful and I would definitely return again. I have stayed here a couple of times for both business and pleasure and found it to be good for both. It's clean and tidy. The rooms aren't fancy but but I didn't need them to be for the amount of time that we were in them. They were perfectly adequate with well stocked little kitchenettes. It's in a great spot if you're spending time around Lygon Street, Carlton or Brunswick but still easy to get down to Federation Square by either tram or foot. Really good location. Staff very friendly and informative. Room was adequate for needs. Had a balcony which wasn't expected. I was in the back which turned out to be a real bonus as although the 'view' was a wall it was really quiet as the area is a real foodie area and can be noisy. Would definitely book again. I enjoyed my stay at Carlton Lodge. Staff were very helpful and friendly, rooms are meticulously neat and clean, location is close to the city central, university, hospital, shops and cafes. I would definitely recommend it. A bit noisy in the street on Saturday night but otherwise good. The lift is very slow, recommend you take the stairs. Should be a sliding door into the shower cubicle not an inward opening door that is tricky to move around in a tight space. The location is good, bus stop just downstairs, and can walk to Melbourne Central train station. You'll never worry about food here, cause it's an Italian street, they have everything, don't miss the famous ice cream, it's delicious! This small hotel is situated among an assortment of amazing restaurants and cafes. It is walking distance to the CBD, Queen Victoria Markets and the MCG. The room wasn't large but there was plenty of room for 2 people. The bathroom looked like it had been renovated and was quite modern. The TV was only tiny and mounted on the wall so a bit hard to see but luckily we were too busy sightseeing to find time for watching it. I travelled alone this time and make the reservation late. The room was very spacious and I got all the facilities I wanted. Location wise was awesome! Just beside Lygon Street and there are so many Italian and Asian restaurant nearby. Marvellous. My only problem was the fact that "Agoda" listed 'Airport transfer' as an available option, but when I enquired directly by phone on arrival in Melbourne, Carlton Lygon said they do not provide this service, that I would need to take a taxi or bus, and that I would have to 'take it up with Agoda'. The Carlton Lygon Lodge is located in a nice area to the north for Melbourne about 15 min to the city center Based on the rating and for AUD 180 a night I would have expected a nicer room. The furniture is cheap and my room was facing the street which is pretty noisy. The room was clean. 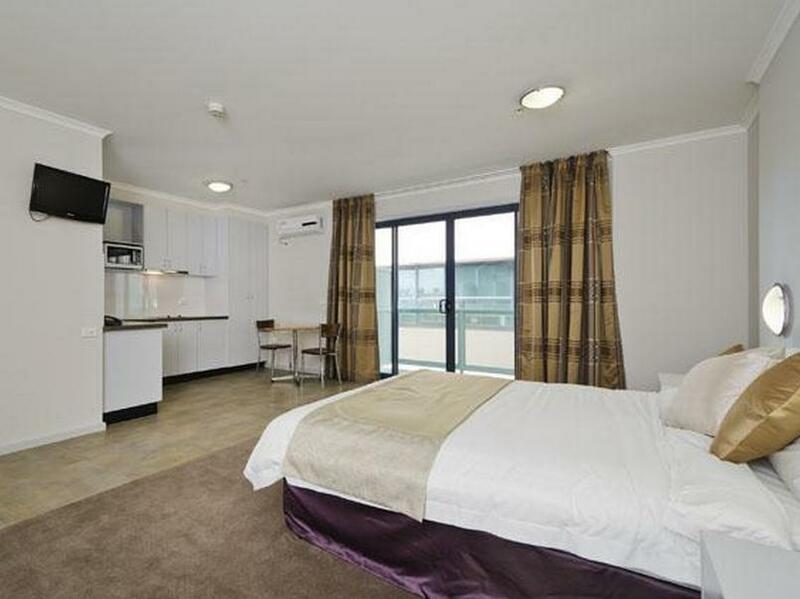 We had a fantastic time during our stay at Carlton Lygon Lodge Studio Apartments. 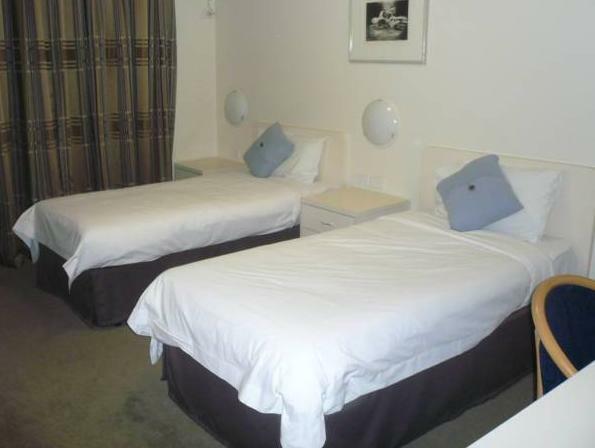 The hotel is well maintained with excellent facilities including a kitchenette. The hotel's location is also an added bonus as it is in the midst of fantastic Italian restaurants and cafes with an amazing atmosphere.